An idea for a more lighthearted game focused on nonviolent conflict resolution based on the little creeks, forests, and plains that I explored with my friends as my child, growing up in Missouri. Indeed such a place could only really be seen from the eyes of a child, so a child you will be. Such are the adventurers of the little town of Grant's Summit: the children that equip themselves with pot-helmets and hittin' sticks. The kids that suspect Old Man Jenkins of being a wizard, that try and find the lost treasure of the bandits said to have hid out in the caves nearby, and that want to see if there really are ghosts in the ghost town. But Old Man Jenkins really is a wizard, that treasure is down there in those caves and its under a mummy's curse besides, and there are quite a few ghosts in that town and many are a delight to talk to. Of course, the world is still dangerous. Strange circuses come to town crewed by tormented souls. The witch in the old forest church really does eat children. Pale people live deep in the caves, their society alien and cruel. The world is not grim but there is real danger for real adventure. My inspirations would be Ray Bradbury, Narnia, Oz, Over the Garden Wall, and Studio Ghibli. Deemphasized Combat: Weapons that the kids have would not have damage dice or all do 1d4. Mostly I think enemies will have a bit about what happens when I smack it? Enemies will likely also have conditions for being able to charm the children and weaknesses that can debilitate or drive them off without any real combat, thus the combative option will be discouraged. Agatha the Snatcher Witch: HP: 10. Mvm: 20ft. Danger: She cannot easily catch freely running kids but if she is allowed to corner them or catch them by surprise, a target kid must make a Nimble Check or be stuck in her sack, unable to escape unless they have something sharp to cut through the bag or must be helped. Hit? : A successful Hit Check with a blunt object will stun her for a round. Multiple successful Hit Checks with a blunt object in a single round will stun her for 1d4 rounds. A successful Hit Check with one or more sharp objects will Damage her, stun her for a single sound, and enrage her, forcing her to target the kids that Damaged her. The targeted kids, gain Disadvantage on Nimble Checks to avoid getting grabbed by her. Weakness: Agatha hates bright light. A shuttered lantern will stun her for 1d4 rounds and Damage her. Multiple such lanterns will stun her for 1d6 rounds and each will Damage her. Sunlight will destroy her. Not to mention most enemies would likely have a nonviolent solution. maybe Agatha has a strange children zoo to make up for a hole in her heart where her own children used to be. Maybe all she needs is someone to see past her monstrous actions to the person that lies behind them: a perfect problem to be resolved by the innocence of a child. It would likely be a system where players make all rolls and a robust Chase system that would probably be in order. I don't know if this idea has any legs but it feels good. I like moving combat out of the spotlight in favor of nonviolent problem solving, not because there is anything wrong with violence in games but that this particular game isn't right for that kind of combat. It harkens back to the kind of cartoons and stories I was told as a child in the places that I loved as a child. 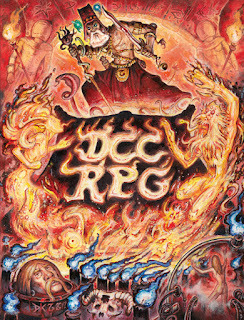 What better medium to recapture that wonder of youth than with rpgs? This is fantastic and as lighthearted as it might seem I can see some wonderfully dark undertowns a la Grimms Fairy Tales or Something wicked this way comes. Something wicked this way comes is definitely one of my inspirations! Many of Bradbury's works speak to me along these lines. From the Dust Returned occurs to me as do some stories from the Martian Chronicles. 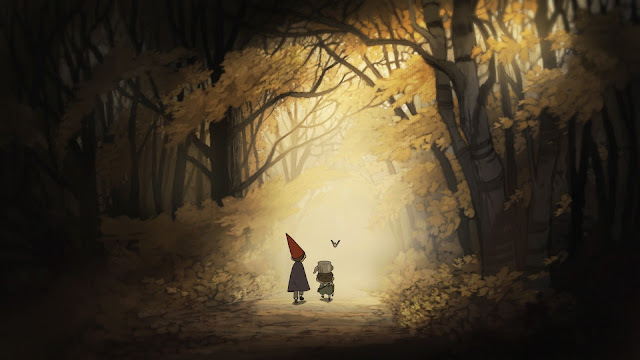 I actually made a game I called Trail of Breadcrumbs and ran it with my irl friends that was pretty much PbtA where you play as children in a dark fairy tale. I see what you are saying. I would like to try it with a more OSR style system and see how it goes before going back to PbtA, but I definitely see the appeal of PbtA in this situation. The appeal of an OSR style system for me is the opening up of possibilities not listed on the character sheet, though this may be a minor difference, it seems to me to be important to keeping the feeling of adventure that I love so much from OSR games that I would love to apply to this one. Perhaps there is some unholy hybrid creature that I could sow together for this game? It would require testing. I think what might be useful is to roll combat into "skills" - like a "challenge resolution" system - so chases, combat etc all are the same kind of thing. Another in-theme option might be confusion - the children being able to trick the beings that they meet? Oh absolutely they can trick these beings! That is probably going to have to be the main way to dealing with creatures is to have a tricky plan. I was going to leave that to the regular mechanism of such endeavors in OSR games i.e. is the plan well structured? Is the lie believable? Does each component part of the plan work? If so, then the plan works. Can you elaborate what you mean by a "challenge resolution" system. I think I pretty much understand but I'd like to make sure. Have you ever read The Phanton Tollbooth? Might be good source for this setting, generally. I have and I agree!